Chocolate and sweet lovers of the world rejoice! Just in time for Christmas, Vorrei has a wide range of unique Italian chocolates and exclusive sweet treats for all to enjoy. Whether you are looking for the perfect Christmas gift or fancy a little treat for yourself, you will certainly be spoilt for choice. 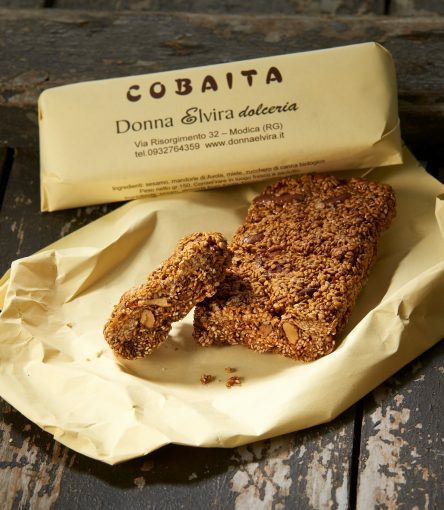 This incredible Sicilian dessert is a U.K. exclusive, only available to order at Vorrei. A citrus delicacy made from the cedro or citron fruit, with a delicious moist, soft, citrus flavour, with the added delight of extra special honey, it is simply perfect on its own as a dessert or as an accompaniment to afternoon tea. 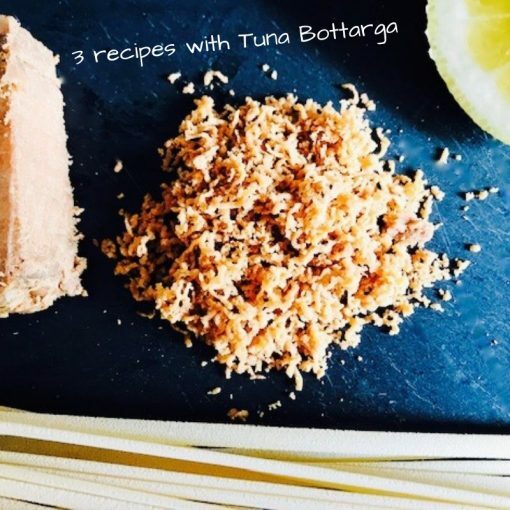 Enjoy a special Christmas treat with a difference and try this super crunchy and sweet Torrone. 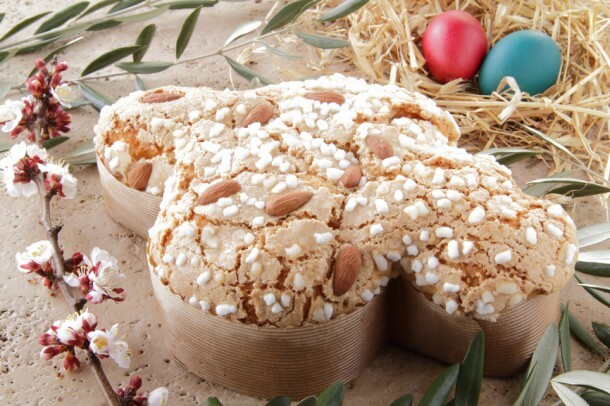 A speciality from the Italian region of Modina, this sweet surprise contains locally produced almonds and honey. 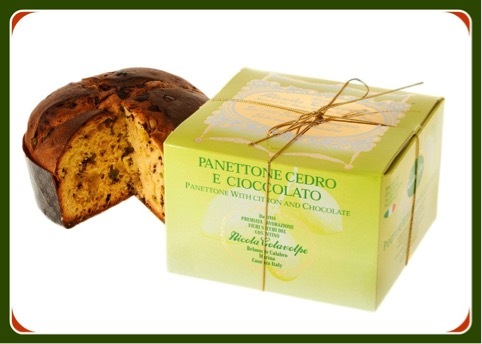 Handmade and perfectly packaged, a great way to celebrate Christmas Italian style. 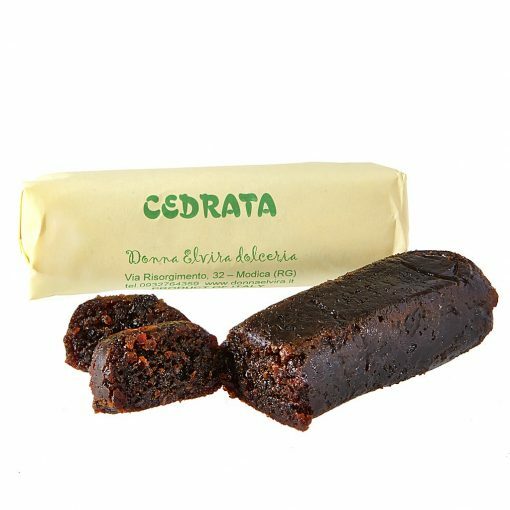 These chocolate dried figs with citrus have been lovingly designed and prepared exclusively for Vorrei this Christmas. 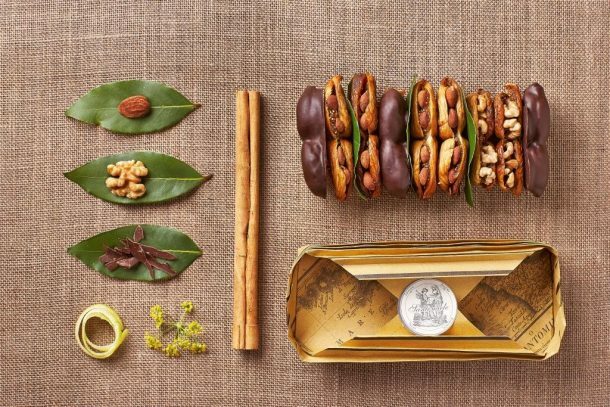 Each sun-dried fig is filled with almonds, walnuts and citrus peel and partly covered in luxurious extra dark chocolate. Traditionally presented, wrapped in fig leaves and bamboo shoots, each one truly is an individual work of art. This delicious product is available in limited quantities, so don’t be disappointed and order now. Chocolate and Limoncello, the perfect combination! 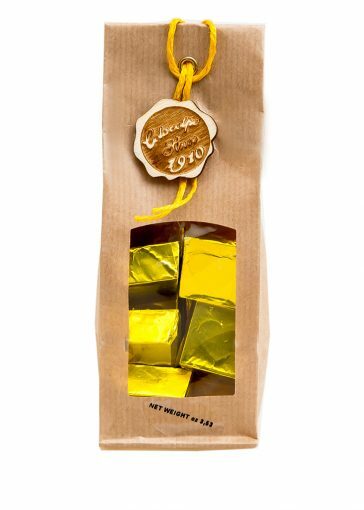 Enjoy the sweet taste of the Mediterranean with the delicious limoncello cream filling inside Grand Cru dark Italian chocolates. Try one and you won’t be able to resist, better order more than one to be sure! 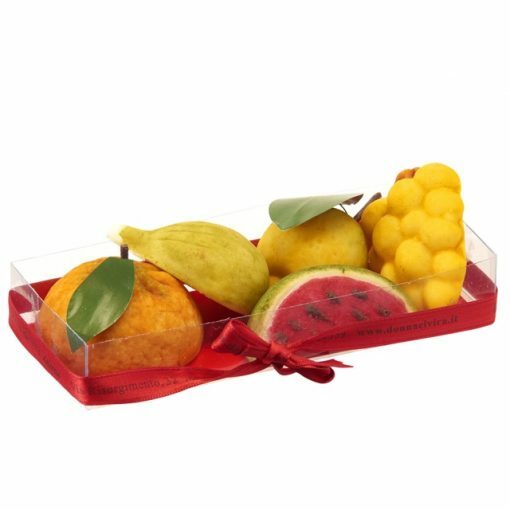 Stunning to look at and delicious to eat these Sicilian Marzipan Fruits are a delightful sweet treat. 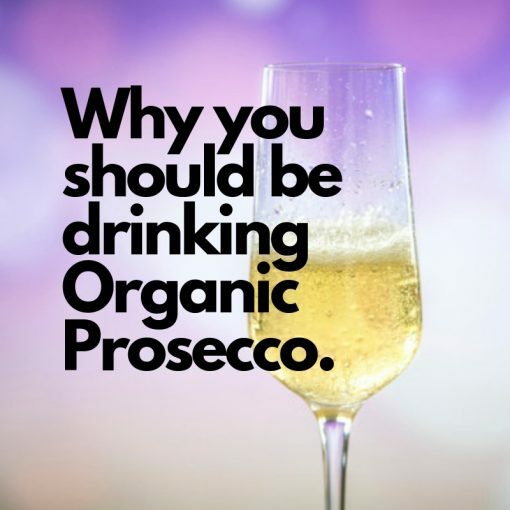 Made with organic almonds, handmade and realistically coloured (with vegetable dye) and shaped like fruit and vegetables. A thoughtful and unique gift for a friend, colleague or relative. 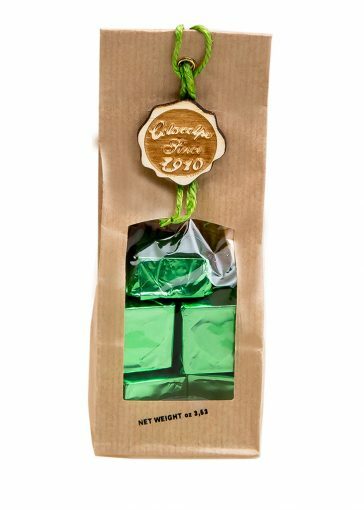 Beautifully made with Grand Cru chocolate direct from the Dominican Republic and packed with a punch of espresso coffee cream, these are no ordinary Italian chocolates! 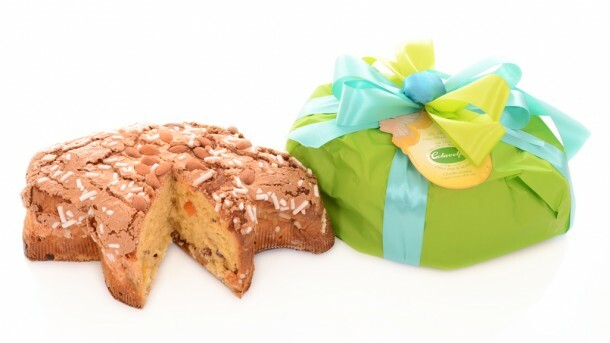 Indulge in this delicious Italian tradition and surprise someone special with this handmade panettone. 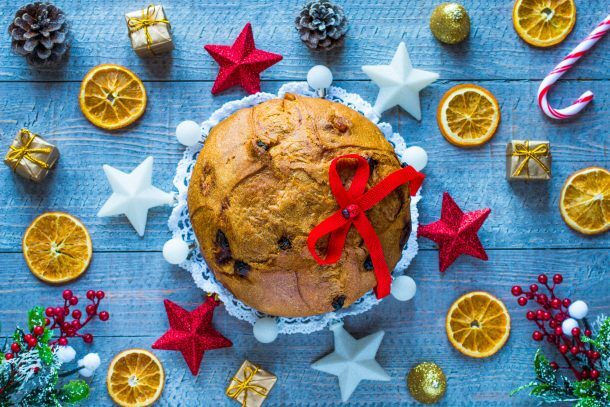 Beautifully flavoured with dark chocolate, candied citron peel and with a hazelnut sugared crust, this light and fluffy Calabrian panettone is a great way to wish someone a Happy Christmas. 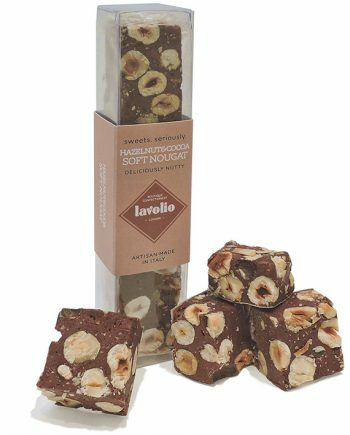 Enjoy the sweet flavour of Italy with this nutty, soft nougat. Traditionally made with high quality ingredients, a true taste of luxury confectionary. 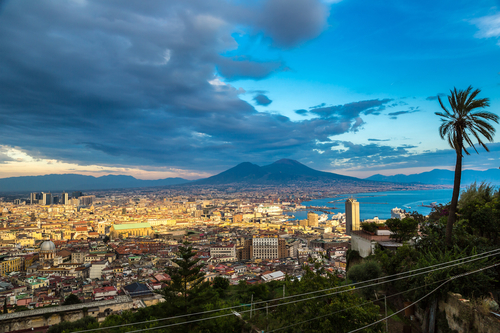 Direct from Calabria, experience this unique delicacy made from the oldest fruit in the world. These hand-crafted fig balls are a delicious guilt-free gift which can be enjoyed with wine and cheese. This sweet treat has a strong, succulent flavour that will leave you wanting more. Treat a special someone with a chocolate gift with a difference. 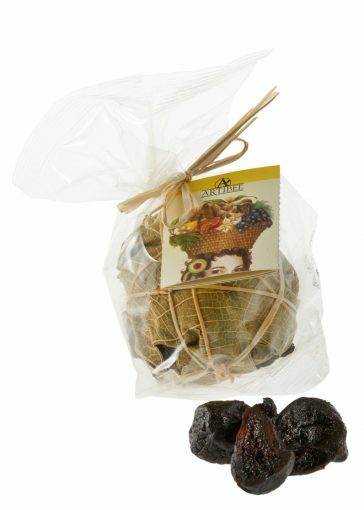 These oven baked, dried Calabrian figs are covered with extra dark chocolate and flavoured with vanilla. 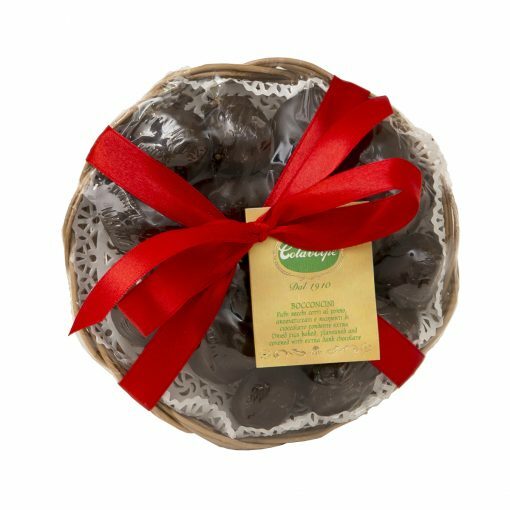 Presented in a small round wicker tray, they are a lovely way to let someone know you care. 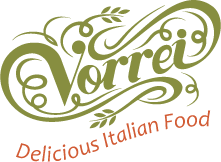 We hope that this has given you a small insight into the variety of chocolate and sweet treats Vorrei has to offer. With so many unique styles and delicious flavour choices, you should find everything you need to make someone’s Christmas extra special this year.